Celcom Axiata Berhad, on last week partnered with Universiti Malaysia Kelantan (UMK), to ink a Memorandum of Understanding (MoU) to create numerous entrepreneurial opportunities for UMK students. 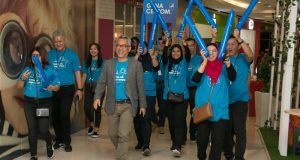 As part of the MoU, Celcom Axiata will pave way for strategic alliances for internships, via the development of E-Learning entrepreneurial-based modules, and encourage students to introduce their online marketing strategies on digital shopping platforms. 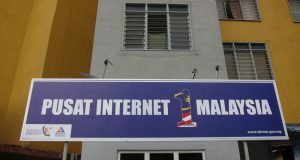 Aside from this, the Telco will also boost data connectivity services by enabling its 4G LTE service and WiFi hotspots for 8946 UMK students across three UMK campuses in Kelantan (Bachok, Jeli and Pengkalan Chepa), to encourage start-ups of online businesses (e-usahawan). 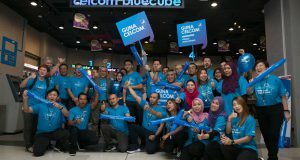 Dato’ Sri Shazalli Ramly, Chief Executive Officer of Celcom Axiata Berhad said, “This collaboration is a milestone for Celcom Axiata as it marks a fresh commitment to nurture the spirit of entrepreneurship amongst students. Digitisation of the entrepreneurial curriculum from textbooks to online application, will make the study of entrepreneurship engaging and compelling. We aim to spark the students’ enthusiasm for these modules and support their entrepreneurial endeavours. 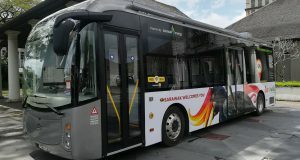 “Celcom Axiata’s superior connectivity is the doorway to limitless information that the students require, to furnish themselves throughout the learning process. In embracing our digitalisation aspiration further, we are delighted to collaborate, engage and contribute to the education industry. “We are thrilled to walk on this journey with UMK as we are confident this will benefit the students and UMK, as an institution greatly,’’ he said during the MoU signing ceremony adding that Celcom Axiata and UMK will explore further on student development initiatives, such as exposing them to the corporate world through employment opportunities with the telco. UMK, established in 2007, is one of the prominent public university in Kelantan, Malaysia. The university is dedicated to the creation and sharing of knowledge in the fields of Entrepreneurship and Business, Creative Technology and Heritage, Agro-Industry and Science of Natural Resources. “I strongly hope that Celcom Axiata will assist us in realising our aspiration”, he said.